$1,822.50 each List: $4,098.00, You Save: $2,275.50! 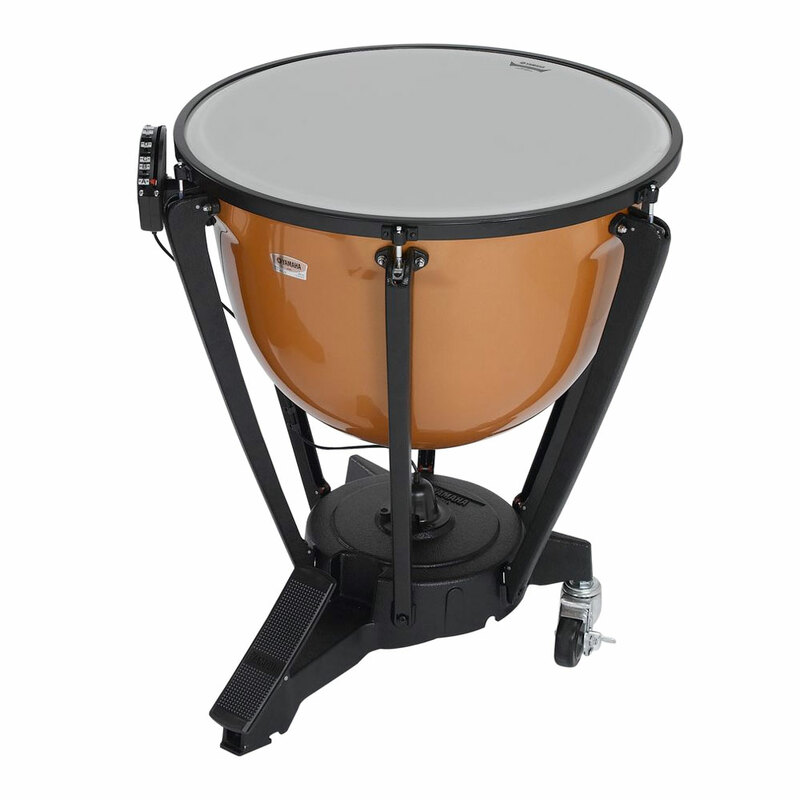 Made from fiberglass-reinforced plastic, the bowls on this set of timpani are both resonant and weather-resistant - you won't have to worry about the blazing summer sun or frigid fall temperatures affecting the drums. Most of the features on these drums are designed to help your timpanist students have an easier time playing the instrument; recessed tuning ears keep players from whacking the rims while moving from drum to drum, and the smooth balanced action pedal quickly and easily changes the tuning of the heads. The cable-linked tuning gauges (protected with a covering) show both naturals and accidentals on clear, easy-to-read markers. The rims themselves are painted black to help minimize glare in the sun, and it also gives the instrument a contemporary look. 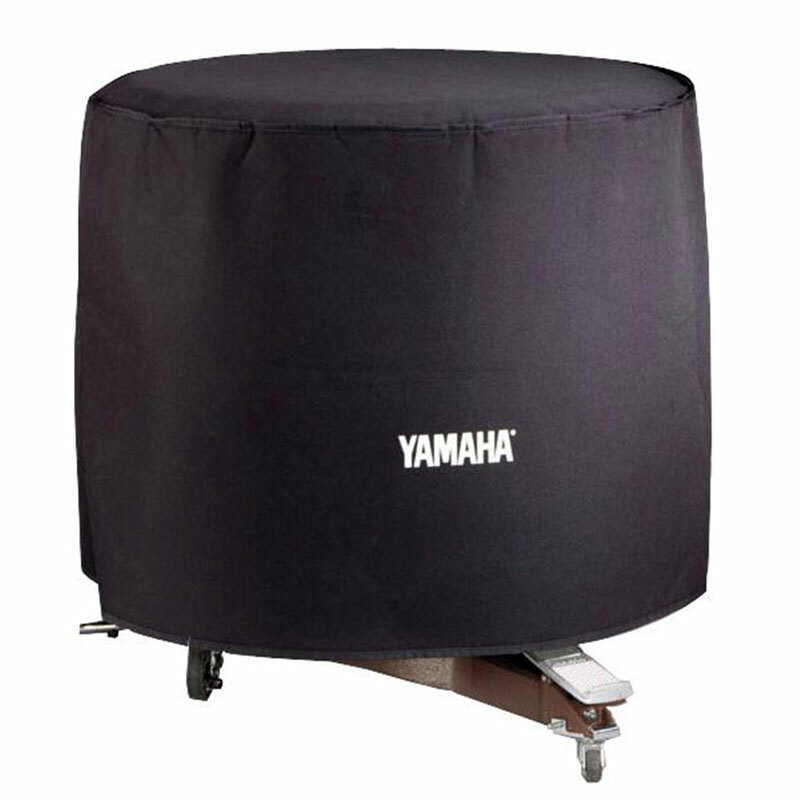 The 29" drum comes equipped with Teflon tape on the rim for effortless tuning, as well as 4" heavy-duty locking casters (the third wheel comes off for performance, and attaches again for transport). The timpano is also fitted with a Remo Hazy WeatherKing head with an aluminum insert ring, as well as a timpani key and a fiber head cover. Additionally, this package includes a heavy-duty long drop cover to keep your investment looking sharp for years.